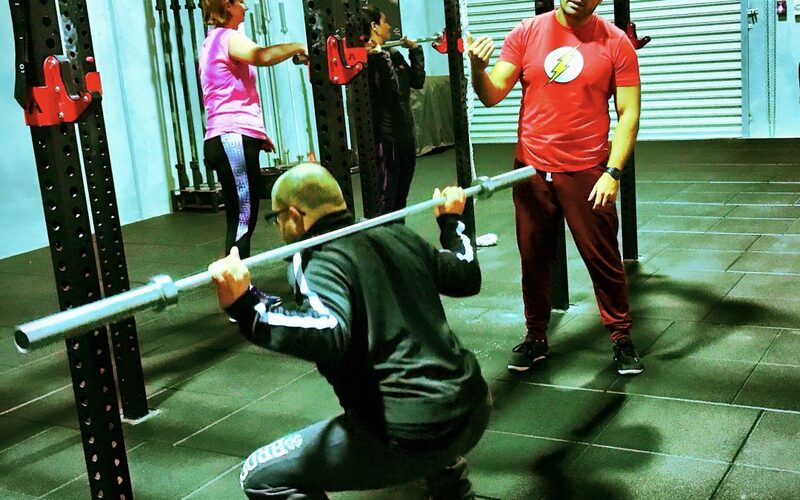 5 ways a CrossFit coach will get you out of your fitness rut – GUARANTEED! Have you been doing exercise for some time now? If so, that’s awesome! You are already ahead of all those who haven’t started to train yet or stopped training altogether. That shows your willpower is well above average. and is something to be proud of. However, from time to time we need to double check on how well we’re doing, especially if we feel stuck in a rut. Are your workouts feeling less effective and not that fun anymore? Are you not getting the results you want? Do you feel you are doing a lot of work without getting any closer to your goal? When this happens, at its best you may feel a bit frustrated, but at its worst we may end in quite a dangerous situation from a motivational point of view, that might result in you quitting all your fitness efforts. Correcting your exercise technique. Many times we get stuck because we actually never learned how to do the exercises we do in the proper way. A CrossFit coach can evaluate this on the spot, based on a number of key performance points we are trained to assess, like range of motion, core engagement, joint efficiency, body alignment, movement pattern, etc. Proper scaling options and progressions. Remember – we need to master the basics before mastering advanced movements and weights. Few can do pull-ups on their first attempt at it, but CrossFit coaches will get you there by teaching you all the previously required movements, i.e., ring rows, jumping pull-ups, etc. The same goes with all exercises involving weights. Getting out of your comfort zone. How many times we think we are not able to do something just because we don’t feel ready or comfortable with the idea of doing it? CrossFit coaches know how hard it is first hand, because everybody, even them, had to start as beginners. They also will encourage you to try new stuff – new exercises, new weight loads, new tricks, all with the intent of bringing your game – and results – to the next level. That’s where we grow, out of our comfort zone. Fueling properly. If your CrossFit coach has also a nutritional coaching certification, you will also have at your disposal the means to learn how to eat properly to reach your fitness goals. Feeling a lack of energy when training, or finding difficult to burn that extra fat? Ask him or her how to improve your nutrition! Having the most supportive ally ever. When the Workout of the Day arrives, a CrossFit coach is the best supporter you can have on your side. You’ll get proper supervision during the whole workout, world-class coaching, but most of all you’ll find someone that definitely will cheer for you and genuinely wants you to succeed! The best way to experience all this is by actually attending a CrossFit session! Drop by our gym for a free session and find how effective and welcoming our CrossFit gym can be for people ready to take their training to new heights.